Experience a family vacation like no other during Churchill’s annual beluga whale migration, when the summer landscape is blooming with colour and the northern wildlife spend their days soaking up the summer sun. Featuring family-focused activities, the Summer Family Adventure is perfect for travellers who are looking for an exciting and unique vacation experience that will suit all ages of adventurers. With a focus on kid-friendly programming and wildlife viewing, these tours offer a fun and educational journey in Canada’s North that will create memories that last a lifetime. 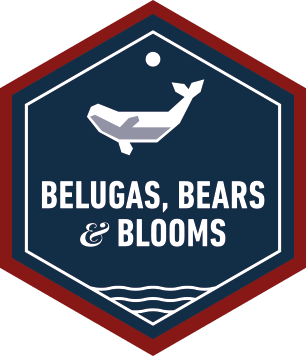 The Frontiers North Summer Family Adventure is all about beluga whales and includes time on the water with the friendly and curious white whales with a Zodiac tour and a boat and Prince of Wales Fort National Historic Site walking tour. 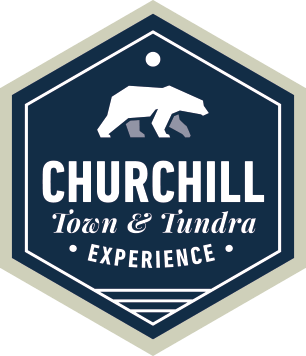 You’ll also have a chance to explore the tundra landscape and view incredible northern wildlife on an official Tundra Buggy® in the Churchill Wildlife Management Area. Other activities include a dog carting excursion through the boreal forest, programming from Parks Canada and the Canadian Junior Rangers. The Frontiers North Summer Family Adventure is unescorted and includes programming geared towards kids 12 and under, as well as elements that will thrill any age of traveler. Adventurer Level: This is our most flexible and economical level package, with a larger-sized group (maximum 38 on this departure), to allow this traveller to customize their own experience in Canada's North. This tour is unescorted and provides guests with the lodging and transportation basics. Our summer vacation is finally here! We arrived in Winnipeg today and already the kids can’t stop talking about everything that we get to see and do in Churchill over the next six days. After checking in, we joined a group of our fellow travellers to meet with a rep from Frontiers North for an evening meet and greet. Everyone – especially the kids – had tons of questions about the tour and she answered everything and walked us through our itinerary for our time in Churchill. Next stop is bed time and then tomorrow we begin our adventure! Today began with an early morning flight to Churchill; our kids have never been great at getting up on time, but they were ready long before us this morning! After dropping off our bags at the hotel we stop for lunch on our own at a local restaurant. In the afternoon we meet up with a friendly local guide. He takes us on a roads and trails hike in the area surrounding Churchill. We hike along the coast line and learn about different flora and fauna. We also have a chance to learn more about Churchill's history, view the MV Ithaca shipwreck from the shoreline, and stop off at Manitoba Conservation’s Polar Bear Holding Facility. After the hike we have dinner and retire to our hotel room for an good night's rest. Tomorrow is another busy and adventure-filled day! After lunch on our own, we head over to the Parks Canada Visitor Centre, which has in depth displays that reveal the remarkable history of Churchill through wildlife dioramas and exhibits that portray the history of the fur trade in the area. The educational and child focused programming was an amazing introduction to Churchill and this adventure. After our busy day we stop for dinner and enjoy a warm, home-cooked meal at one of Churchill’s family run restaurants – who knew Churchill had such incredible food? Day three started on the river on a Zodiac boat tour, giving us a chance to get even closer to the extraordinarily friendly beluga whales. The belugas were very curious and loved the bubbles from the Zodiac’s motor – they followed us closely! After lunch the group heads out for a dog carting program with local dog musher Dave Daley of Wapusk Adventures. Dave regales us with his incredible dog sledding stories, introduces us to his dog pack and then takes each of the group on a mile-long dog sled ride through the boreal forest. The kids even got a chance to visit this season's puppies while we were waiting! After dinner, we meet up with a group of Canadian Junior Rangers. The Junior Rangers is a program for kids who live in remote communities; the program encourages kids to engage with their community and preserve their culture and traditions. Tonight a few of the Junior Ranger members give a presentation about growing up in the north that really taught the kids how different life is in northern communities. The afternoon brought us on an adventure into the vast and colourful Churchill Wildlife Management Area! We boarded the Tundra Buggy and - after a safety talk by our driver - headed out onto the tundra in search of summer polar bears, arctic foxes, hares, and more types of plants and flowers than you can imagine growing in the north! The tour allowed everyone to learn from our Tundra Buggy Driver about the many different types of plants, birds and animals that are native to the Churchill area. At the end of the tour we're sad that it's time to head back to Winnipeg. As we board our flight headed south the kids area already asking when we can come back. This was a summer vacation our kids will never forget. Not only was it an incredible fun adventure for them, but also a really great learning experience for all of us. We definitely plan on returning to Churchill again in the future.